11*15 half chocolate, half vanilla cake. Iced with vanilla buttercream. 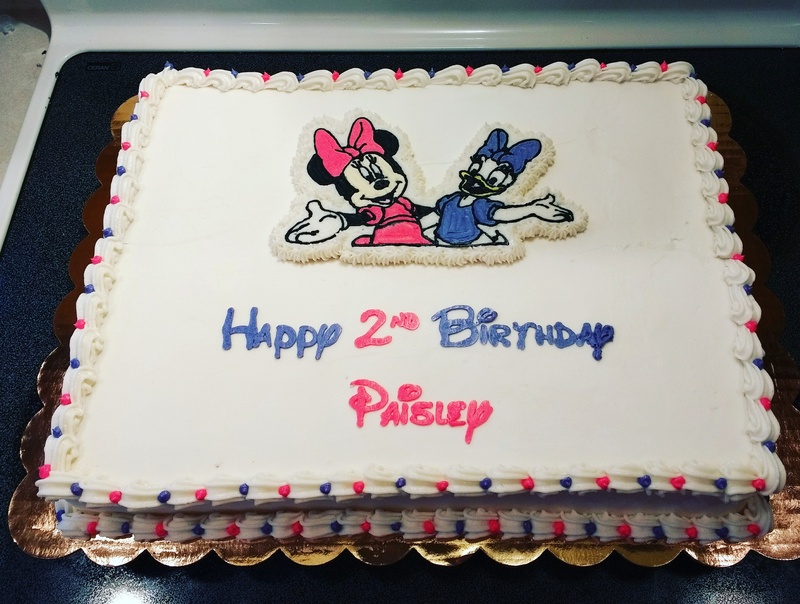 The picture is a frozen buttercream transfer. A 10″ and 6″ vanilla cake. An 8″ chocolate cake. All iced with vanilla buttercream. 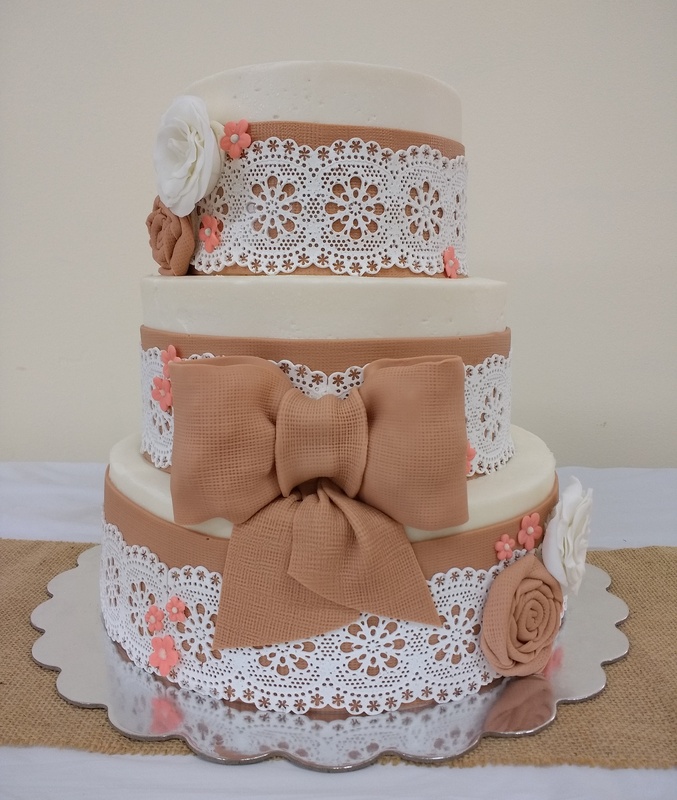 All decorations are made from fondant except the lace. It is an edible lace mix.